The IT staff predicts the big matchup against the USC Trojans while also keeping their eye on some of games around the country. 1. With much of the country paying attention, how does Texas defeat USC in Austin? Eric Nahlin – These teams will have similar wishes of running the ball, stopping the run, and forcing the opposing quarterbacks into mistakes. Texas needs to win each of those aspects and capitalize on the rewards of each. Running the ball opens the vertical passing game where Ehlinger appears to be improved. Stopping the run puts a young quarterback behind the sticks versus a secondary that’s hard to decode. Texas is capable of accomplishing all of this, but so too is USC which is why this game is hard to predict. Justin Wells – Running the dang ball on one of the worst run defenses in the nation (123rd). It’ll control tempo, keep the USC offense off the field, and keep the defense fresh. Ian Boyd – Stop the run, confuse and harass JT Daniels, and then play a clean game on offense while protecting the ball. Joe Cook – These teams are very similar in what they’re trying to do. Protecting the ball like Ian mentioned includes running the ball on a consistent basis. Texas needs 40 successful carries to win this game. Scipio Tex – Stop the run. Don’t allow easy single read deep shots. Read my game preview. 2. Most important players on offense and defense this week. Eric Nahlin – Ehlinger in the 4th quarter is the easy pick, but I think LJH will be the offense’s MVP. On defense the linebackers have to come up big, but I’m still skeptical of them getting off blocks versus this running game. Maybe sneak Malik off the sideline and into the game. I think Brandon Jones will play a big part in defending the run and pass while keeping his secondary-mates lined up. He’s my pick for MVP. Justin Wells – Tre Watson. With Ingram out, Watson will get a workload. He’ll have help from Daniel Young, but Watson’s explosiveness will be needed + being a Cali kid, he wants to put it on USC. Omenihu/Hager. These two must get pressure on the 17-year old QB for the Trojans. If they can hit him a few times, this game will be fun. 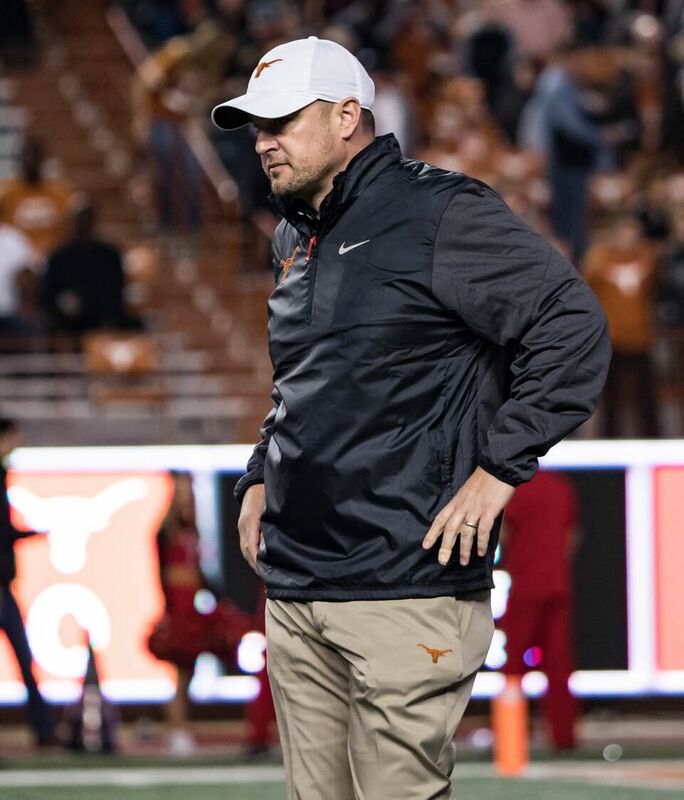 Ian Boyd – Sam Ehlinger on offense, Texas needs to run the ball effectively and mitigate the Trojan DEs and without Keaontay Ingram a greater responsibility will fall on Ehlinger to use his legs in this game. This offense hits another gear when he’s running regularly. Defensively it’s Gary Johnson, Texas needs to stop up the USC run game in order to really attack JT Daniels effectively and thus need great play out of their star linebacker. Joe Cook – The offensive line and the defensive line. Run the ball and establish a pass rush on a young QB. Scipio Tex – The Texas Defensive Line. Specifically the strong side triangle of NT, 4i and ILB. Hager, T Graham or Omenihu need to be stout at the point of attack. Get JT Daniels in 3rd and long and bring the pressure packages and robber coverages. On offense, Ehlinger is going to have to create some time and opportunistic first downs against a withering USC outside pass rush. The more he can run and create conversions, the better chance Texas has of wearing down a big USC DL. Eric Nahlin – I picked Texas 28-21 earlier in the week and I still feel that’s about right. Hopefully it doesn’t come down to Texas needing a late field goal. That’s a hell of a setting for a freshman kicker to see his first opportunities. Texas should win this game and I won’t hear otherwise. Eric Nahlin – TCU vs fOSU: TCU’s struggles versus SMU were overblown; a magnification thanks to being the only game on. I think this one is within the points but Ohio State grinds them down on the ground. Ian Boyd – LSU vs Auburn is probably a much more competitive game than the line suggests. Auburn looks good but they don’t have the run game that Malzahn usually has while LSU is playing excellent defense and can still run the ball some. Eric Nahlin – Since they’re small lines, I’ll offer two: Boise State over Oklahoma State and Syracuse over FSU. Joe Cook – I’ll join the crowd and go Boise State over Oklahoma State.